ALL TOGETHER NOW (ATN) FALL 2015 Tweens Peer Support Group Registration is Now Open ATN �” now in its seventh year �” is a non-profit group that offers a range of adoptee-focused programming for ages 4 through adult. Tweens Peer Support Group ATN’s peer-support group for 10-12 year-olds embraces issues, as they come up, in a fun and nurturing environment. The group is facilitated by an adult adoptee, and offers tweens the opportunity to connect and chat about “what is really cool �” and may not be so cool �” about being adopted.” The goals of each group session are: (1) to create a safe and open space for tweens to share their joys and pains, as they relate to successfully navigating the burden and dignity of difference; (2) to address a myriad of “hard situations” that arise where we live, learn, and play; and (3) most importantly, to have fun in the process of finding the living and breathing answers to: “Who am I? Who are we?” The group will be facilitated by Heather Schultz, a Korean-American journalist based in Long Island, whose articles have been published in The New York Times, NBC News, New York Daily News, and the St. Louis-Post Dispatch, among other publications. As an avid spoken word lover, she has performed long-form poems in New York City based on her upcoming memoir about her experiences as an adoptee and domestic violence survivor in suburban Long Island. Heather is on the Board of Directors of Also-Known-As. Five Sunday Sessions: 2:00-3:30 PM September 20, October 18, October 25, November 15, December 13 Union Temple Preschool 17 Eastern Parkway, 4th floor Brooklyn, NY 11238 Fees The fee per semester is $250 per child and goes directly to our operating costs, to pay for the space rental or for adoptee volunteer and facilitator stipends. The parents group is free for families that are registered for the tweens groups. For more information and to register, please visit our website: http://www.alltogetheradoption.org. Who We Are ATN is a not-for-profit, adoptee-centered support group for adopted children and their families. 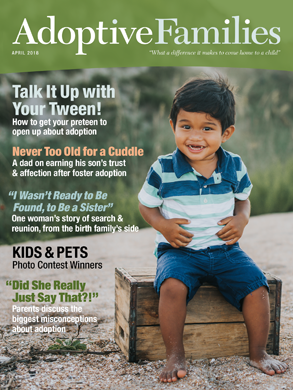 We believe that adoption comes with unique developmental processes for adoptive families and that they differ from biological families for that reason. We particularly value the perspective of adult adoptees, seek their input, and support their concerns as an integral part of our program. We strive to create a community in which adopted children, teens and adults can determine their own experience and form supportive friendships among themselves. As parents, we try to understand and integrate the birth cultures of our children into our families’ lives. We recognize the role race plays in this context and especially how it affects the lives of families with children of color. We work to help prepare those kids for the particular challenges of being adopted persons of color. We acknowledge the birth family as a living reality in the adoptive family. We are also attuned to the losses experienced in adoption, especially those of our children and birth families, and treat them respectfully. Finally, we celebrate the diversity of adoptive families and the lifelong, nurturing, loving, unconditional and irrevocable bonds they form. ATN groups offer support to children and parents. ATN is not a therapy provider. For more information and to register, please visit our website: http://www.alltogetheradoption.org. ATN Board Kacy Ames-Heron Carol Lutfy Amy Appelbaum Marissa Martin Andrea Compton Margaret Scott April Dinwoodie Laura Summerhill Jamie Levinson Fran Weinstock Frank Ligtvoet https://www.facebook.com/pages/All-Together-Now/729057370439459 Please like us on Facebook! Tween peer support group in NY Fall 2015. Sign up now!